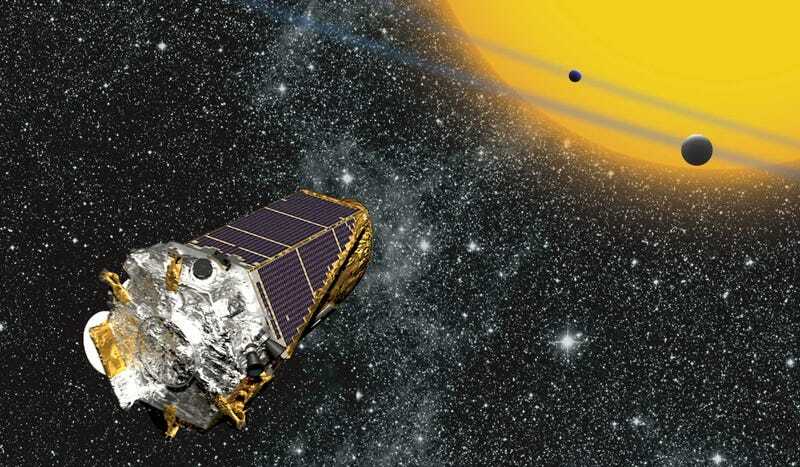 After an inexplicable shift into Emergency Mode, NASA managed to partially recover its planet-hunting Kepler spacecraft. But we still don’t know what caused it to wig out in the first place. It’s been a tense few days for the Kepler team since a regularly scheduled interchange with the spacecraft on Thursday, April 8th revealed that it had switched over to Emergency Mode. Today, NASA announced that it has recovered the spacecraft, and that it’s on its way back to normal operations. What caused the Emergency Mode shift still isn’t known, though NASA steered blame away from the reaction wheels, whose failure a few years back left the spacecraft spinning (temporarily) out of control. It’s been a rocky few weeks for big, expensive, groundbreaking spacecraft setting themselves adrift. A week before Kepler’s sudden dive into emergency, the Japanese space agency announced that their $273 million Hitomi black hole satellite had inexplicably stopped responding to contact. The fate of Hitomi and whether we’ll ever manage to get it back is still unknown, but Kepler’s quick revival reminds us to hold out hope. While it’s certainly good news to have Kepler back among the living, its brief sojourn into darkness may yet have lasting effects. For now Kepler is back in its lowest fuel-burning mode, while NASA performs checks on the spacecraft to see if its ready to shift back into Science Mode (note: this is also Gizmodo’s preferred operating mode). With the data on Kepler’s state before-and-after the crisis coming in soon, NASA hopes to also have an answer coming on just what caused the emergency in the first place.